If you missed the blip earlier, Game Night now has its Euro-centric times. Game Nights for Europe will take place at 8pm GMT on Mondays and Wednesdays, with no meetings on Monday every other week. This week, there will be no meeting on Monday, but there will be one on Wednesday. So what does this mean for the North and South American Times? Well, to be honest, not too much. We're just going to try to hold two Game Nights a meeting day. You can come to one, or the other, or both, or maybe even neither if you just want to hurt my feelings. The only problem I'm seeing now is that there were a grand total of maybe three people who voted on times for Game Night for Monday in Europe, so that may not be a day that's worth the trouble of organizing. There also wasn't too much voting for the one on Wednesday, either, to be fair, but ... We'll give the whole thing trial run and see how it goes. Maybe I need to give it it's own day or something. To reiterate, as of now, Game Night is meeting on every other Monday and every Wednesday at 4pm EST (8pm GMT) and 9pm EST (1am GMT on the following day). Come to the time that's best for you. Sign up for the games will be scheduled to post at 12pm EST (4pm GMT) on their respective days, and you'll just need to say which times you're coming for in the sign up. 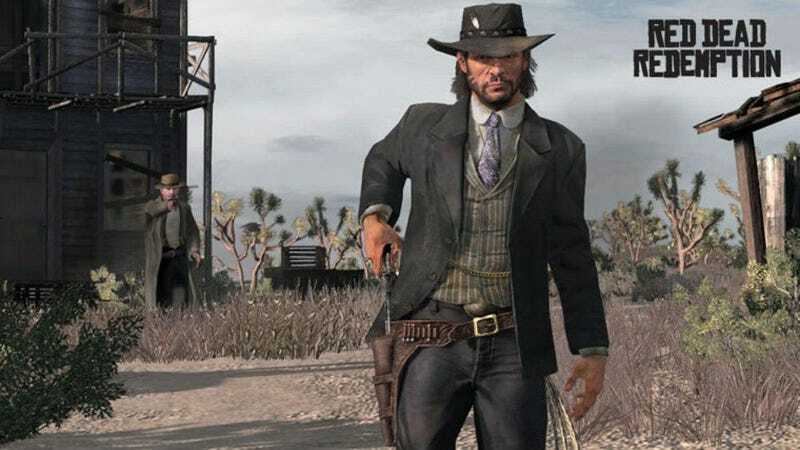 Speaking of which, if you missed the announcement for this week, we're going to be playing Red Dead Redemption on the PS3. If anyone who can attend the Euro-centric Game Night times would be interested in sending invites out for this, let me know below. I believe that's it for today. If you have any questions, comments, or concerns about Game Night, let me know below. I hope to see you all Wednesday!